S5 Sportopolis - sports themes template for Joomla 1.5. 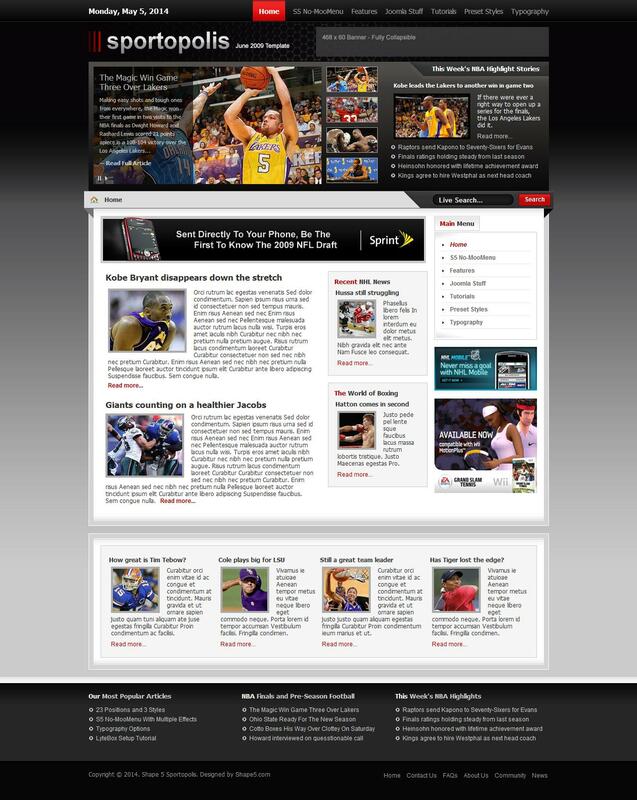 S5 Sportopolis created for sports sites / portals. In S5 Sportopolis present position for 23 modules, the module prompts when hovering, LightBox, 4 types of menus. S5 Sportopolis compatible with all popular browsers. Template S5 Sportopolis supported Joomla 1.5 and tested XHTML / CSS.